She is also fluent in Spanish, Portuguese & Russian. 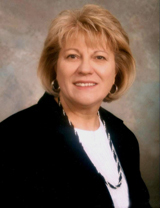 Maria Novak with Remax Suburban based in the Northwest Suburbs of Chicago is specialized in residential sales & investment properties for past 40 years. Maria has built a solid foundation of home buyers, sellers & investors through her knowledge of all aspects of residential Real Estate. Maria sells consistently over 5 million dollars in sales, earning her the 100% Club Award. Her specific areas of expertise include strategic planning, staging properties & pricing correctly to sell. Maria makes herself available at all times to show properties for buyers. Advise them on the conditions and locations of properties that will impact appreciation. Negotiate the best price possible for their new home. Provides honesty and guidance. Educates buyers in all the home buying process. Above all, focus on all buyers need. For sellers she is experienced negotiator achieving the highest price in in the shortest period of time. Stages the home to sell on the internet. Gives the expert advise on repairs & maintenance to prepare the home for a better selling price. Provides the seller with constant status on the marketing of their homes. Gives a comprehensive market comparison and provides good advice on pricing the home properly. According to a poll conducted by Home Choice Warranty, 70.7% of adults surveyed distrusted their realty agent. Out of that 70.7% I can guarantee you not one of them used Maria Novak as their agent. This past November my girlfriend and I decided it was time to purchase our first home. Prior to meeting with Maria for the first time I had some general concerns: Is she going to take advantage of us being first time homebuyers? Is she going to try to sell us the most expensive house within our budget or will she help us find the best fit? Is she the best qualified agent to help us find and purchase our future home? The first day we met with Maria it was a cold, windy day and my girlfriend was so excited to start house hunting she forgot her jacket. The first thing Maria did when she saw my girlfriend shivering was hand her a jacket out of her car. Instantly my guard was lowered and we were both charmed by Maria’s genuine personality. After walking through a number of homes and listening to Maria’s feedback on each one, it was clear her intentions were good and her advice was sincere. After two weeks of searching, Maria walked my girlfriend and I through a townhome. After taking one step into the unit we both knew we wanted to put an offer in right away. Maria realized we were trigger happy and explained to us that the unit was significantly overpriced and although there were upgrades throughout they were done so with cheap material. We trusted Maria and 2 hours later she sent us a listing of the exact same floor plan in the same subdivision for a much lower price. The cliff note of this paragraph is that Maria actually talked us out of purchasing a more expensive home and found us the same unit for cheaper! Maria also provided much appreciated guidance through the inspection, appraisal, final walk through and closing. There is no doubt in my mind that my girlfriend and I received the best service available and we look forward to using Maria on our next purchase. In the meantime, we highly recommend Maria to all of our friends, family and anybody searching for a knowledgeable, trustworthy, reliable real estate agent.